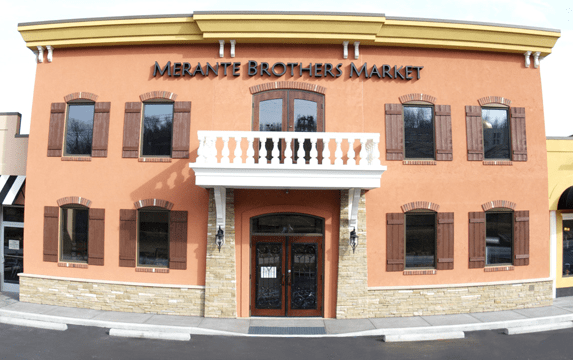 Merante Brothers Market has brought the old neighborhood market back to the neighborhood, providing locals with quality foods, Italian specialty items, and something more—a chance to relax in the market’s European-style cafe, and enjoy (or pick up) family dinner in the rustic cucina. More than a market, it’s a celebration of what the Merantes hold sacred: Great Family, Good Friends, and Glorious Food. We wanted to learn more about Merante Brothers so we asked Domenica Merante, one of the owners, a few questions about the family business. Domenica is a formally trained chef at the Toscano Saporito school in Toscano, Italia and studied under a renowned Italian cuoco (chef), Sandra Lotti. She has been a personal chef for the last 17 years and it was time to share her talents with the Pittsburgh area. Domenica is a first generation Italian American with a father, Giuseppe, who was born in Reggio, Calabria and her mother, Maria, who was born in Abruzzi, Gumbaralle, (the citta). Domenica is married to Antonio Merante, and together they have three sons, hence the Merante Brothers; name—Italo, Salvatore and Antonio Merante. 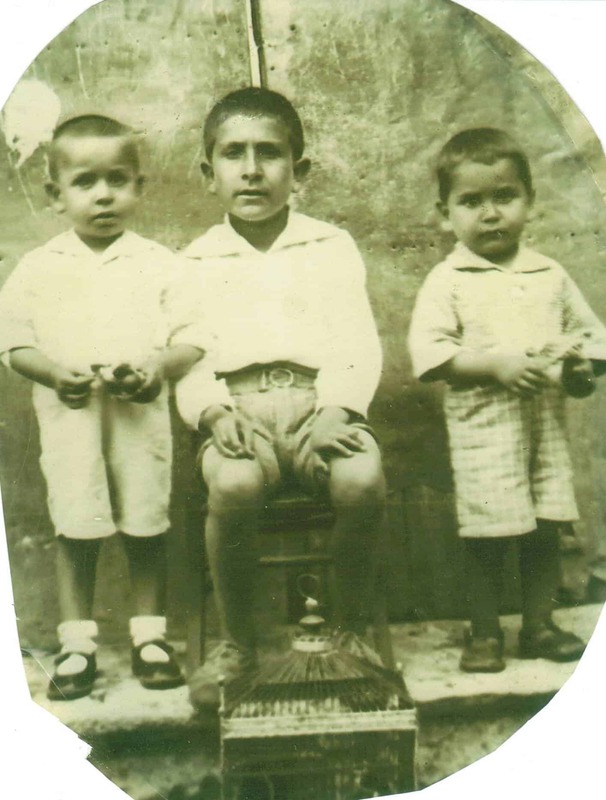 They are also named after the original Merante Brothers of the past, her father-in law, Italo Merante, who started the grocery store with his brother Salvatore in the states, while their brother, Antonio, ran their store in Pentone, Calabria where they were all born and raised. Salvatore is the only original brother still living. 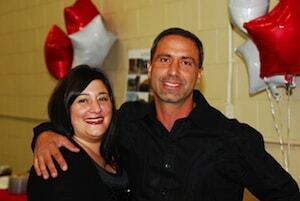 Learn more about Merante Brothers below! CP: Where do you currently live? How long have you lived in the Pittsburgh region and what do you enjoy most about it? Domenica: We currently reside in Peters Township, only a few miles from our store in North Strabane. Both my husband and I have grown up in Pittsburgh to immigrant families and have lived and breathed the old style Italian ways of our parents. We are proud Pittsburghers—we love the Steelers, Penguins, and even the Pirates. My family is originally from the Hill and Oakland as well as my husband. He grew up in Mount Lebanon and from there we moved out to Peters. What we enjoy most about Pittsburgh is that literally around every corner our family lives, in every neighborhood surrounding us, we can find a paesani, that’s the beauty of living in Pittsburgh—our famiglia! Domenica: Favorite Italian traditions for me always revolve around food and wine. So let’s start with September and the Festa de la Vendemmia, the harvest of the grapes and the pig roast, then let’s move into December and Celebrate Natale with the Feast of the Seven Fishes, from my father’s southern Italian roots, then we go into February and we celebrate Carnevale with all of the fabulous crispelli recipes, then we go into the summer months with all of the Festa de la Madonna’s! The pilgrimages into the mountains, the organ stew in my husband’s town which they call sptizachiena which sounds awful, but when done right is unbelievable! I don’t have a favorite, I celebrate them all. Domenica: That’s a very difficult question for me to answer, because I have so many things that define me as an Italian American. But this is how I will answer that—family, respect, hospitality, food, love, and pride. Not the pride that boasts but the pride that pours out of you when your child does something good, when you see your Nonna with all of their grandchildren, when you see your father and mother, who came here from another country with no money, work themselves to the bone to pay off their house and go back for the first time in 30 years to visit their homeland. Our heritage is so rich and full of life and love and family. That’s what being Italian means to me. CP: What separates your business from other similar businesses? Domenica: What separates our business from other businesses is that there is no other business in this region that does what we do. Under one roof, you have the taste of three distinct areas of Italia. Our modern Milan style caffe with its industrial flair and steel seating bring you into new world Italia with all of the newest modern design of Milan. Our market is designed as an open air market in your favorite piazza in any town in Italia. We have all the imported foods and homemade sausages from our Uncle Sal that you could imagine. We have fresh flowers, fresh produce, a New York Style Deli, as well as our fresh homemade Italian specialties. We also have a full blown restaurant, Cucina di Domenica, that is open daily for lunch and dinner. We make our own dough, sauces, soups, meatballs, hot sausage, and everything else you can imagine. We are a Rustic Style Old World Italian eatery. Nothing too fancy, but exceptionally good. CP: In building your business, what have been your most important learning experiences? Domenica: The lessons we have learned include acquiring the right staff is key, knowing what your customers want is what makes a business thrive and the only way to evolve is to constantly change and bring new products to the market and new items to the menus! In saying that, we are in the process of obtaining our liquor license so we can move on to the next stage of our business a full service wine, martini and antipasti bar! There is always something to look forward to at Merante Brothers! CP: What else would you like our readers to know about you or your business? Domenica: The one thing I want to stress is that this is not a chain or a big partnership. This is a small family business, owned and run by myself and my husband, Antonio Merante. My husband is also contractor and owns A. Merante Contracting Inc. and is known for his rehab and restore of Pittsburgh’s famous Market Square. He has been in business for 25 years in the Pittsburgh region and has built many sidewalks, curbs, parks and rehabbed many inner city projects in Pittsburgh. 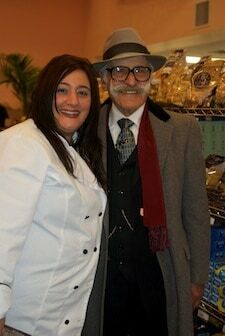 The store was opened on March 9th, 2012 which would have been his father Italo’s 82nd birthday if he were to have lived. This store is the way my husband has chosen to honor his family, our heritage and keep our ethnicity alive in the eyes of our children. For more information, visit www.merantebrothersmarket.com.